CLOUD 9! That’s where you will be with a 504 loan from Nedco! Low Down Payment: For traditional projects, only 10% equity of the total project cost is required. Such a small percentage allows the borrower to preserve cash for working capital and to maintain some liquidity for operating needs. In general, lenders may only lend 60-70% of the appraised value of the project, which leaves the borrower to invest 30-40% of the total cost. Plus, the addition of “soft costs” such as appraisals, titles, environmental fees, and closing costs may have to be covered by the borrower if under total conventional financing. Low and Fixed Interest Rate: With the 504, the borrower does not have to worry about the prime lending rate going up. They can plan on the same low rate on mortgage payments for the next 10 or 20 years. Even with all the fees and closing costs included in the rate, it remains competitively low for a subordinate mortgage loan on a small business. For a current and historical look at our 10 and 20 year interest rates, click here. Long Term: Due to the length of a 10 or 20 year term, there are further benefits to be had. Because NEDCO is in a second lien position, the lender doing the 50% first lien loan may be willing to lend for a longer term as well. The blended long term rate between the lender and NEDCO makes the project more manageable because it offers lower monthly payments, avoids risky loan call provisions, and allows for locked in occupancy costs. Real Estate Ownership Options: With the SBA 504, a small business owner may purchase and hold title to a building in their own name, the name of the operating business, or set up a holding company. In effect, this gives the small business owner the flexibility to maximize tax benefits of ownership and minimize liability in a manner best suited for themselves and the company. Moreover, two or more small businesses can receive a 504 loan if they combine to create a real estate holding company. For example, this option may be applicable for professionals in the medical, veterinary, legal, or accounting fields. Finally: NEDCO handles all of the SBA paperwork and is always available to answer all technical or program questions. Collateral Position: In taking a first lien position with 50% loan-to-value, there is a reduction in exposure and credit risk due to the partnership funding. Such risk is lessened because the 504 loan is subordinate to the lender’s first lien. Lending Limits, Industry Exposure, Regulatory Concerns: An SBA 504 loan offers small lenders the opportunity to fund larger projects while larger lenders can limit their exposure to certain industries. Such a reduction in loan concentration may also reduce regulatory concerns. Unobstructed Lending: The SBA 504 allows for the spreading of lending capacity across more borrowers, it diversifies the default risk, and reduces losses in the event of a default. Thus, the 504 suggests a lower reserve requirement and greater funds remaining on deposit. New Relationships: The initiation of a 504 Loan can many times become the foundation by which a banking relationship is begun. By offering the 504 in conjunction with conventional financing options, a lender’s current and future clientele may come to understand that the focus of the institution truly rests on the welfare of its customers. Such a popular feeling will keep people coming back. CRA Credit: Because this program is administered by the SBA, the lender’s involvement may qualify them for Community Reinvestment Act (CRA) credits on certain projects. Finally: NEDCO’s venerable experience and reputation have enabled it to be a forerunner in the state and the nation. We know the documents, we know the process, we want to work with you! The National Association of Development Companies (NADCO) commissioned the first formal assessment of the SBA 504 loan program’s economic impact at the national level in 2007. The study found great evidence that the 504 Loan Program provides a cost effective means by which to generate new business activity for the national economy. When reviewing the results of more than 15,000 participatory businesses, the two year study discovered the program supported the net growth of 54,000 jobs and about $4.6 billion in added labor income. Economic multiplier effects from the increase in direct economic activity contributed to the addition of another 66,000 jobs and $4.5 billion in wages and salaries. Additionally, the study found a corresponding increase in federal, state, and local tax revenues that were many times greater than the funding required to administer the program. 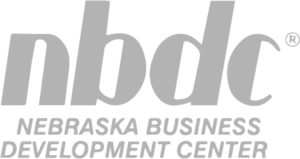 Finally, the study concluded that in actual dollars invested, the financing provided to small businesses by the 504 loan program through CDCs represented a $94.00 return per dollar of program cost. This program is not only a good investment for the community, but for bankers and borrowers alike. To view the complete SBA 504 Economic Impact Study or additional information on the SBA program, please visit the NADCO Website.